I began watching a BBC Horizon programme on Insight, and as usual ended up with the usual frustration about brain science. The format of the programme was to look at current research on insight, and that research typically examined the location of brain activity when insights were supposed to have happened. Begrudgingly I recognise that the science is showing that certain areas of the brain react when insight occurs. When considering brain science like this my first question is always concerned with the nature of mind. Insight would tacitly be accepted as coming from the mind, but what is the connection between mind and brain? In science there is again a tacit assumption that the mind is located in the brain, but if I ask Thai people where the mind is they point to the heart. In the case of this Horizon investigation I suggest there is a tacit assumption that when the location of insight in the brain has been found then the source of insight has been found. I am certain I am expressing the tacit assumption too strongly, but that assumption is there to some extent. But it is an assumption, and it is an assumption that I can cast some doubt on; I also note that from my personal experience I contend that assumption is not true. There are corollaries to this brain science. If the location can be found can an insight be stimulated? What else are they going to do with this physical location? It is not necessarily the fault of the brain scientist that this question of brain and mind has not been resolved, it is a fault of science and academia in general. “What is mind?” is accepted as a philosophical question that science doesn’t have to answer. So these brain scientists can proceed with their tacit assumptions because academia fails to reach an understanding of mind. If as I contend academics do not understand their own minds and if academia does not understand mind and its relation to brain, how can there be meaningful investigation into insight? I want to consider the interesting case of Jill Bolte Taylor and how this puts light on the relationship between mind and brain for insight. Here is her TED talk. I had forgotten what a phenomenal talk this was, and it was very clear that she was speaking from experience. Her talk was discussing the meaning of the left and right brain, what she called the serial and parallel processors. Are there lessons to be learnt concerning the connections between mind and brain? Her talk clearly points to the left and serial thinking, and right and parallel thinking. But does she talk of brain and mind connections? During her stroke of insight did her mind reside statically in the brain or did her mind swap from left to right. Was she experiencing alternatively left-mind and right-mind, or was the mind hopping from left to right during the experience? I contend the second – without proof and the above meditation justification. I am looking for a way that will make it obvious that my Buddhist understanding would prevail over the tacit assumption of brain science. I have not succeeded. 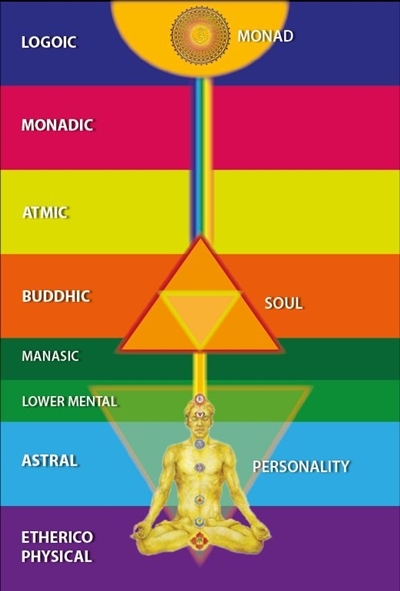 When I have an insight, usually after meditation, it is because I have cleared my mind, focussed it (sometimes by mentally dropping it away), removed my ego and somehow have gained insight with a connection to sunnata because my mind is well-harmonised, this might show as some form of brain stimulation but for me that is the least of it. Sometimes in meditation I focus my mind in my heart, in other times I will drop it away in an effort to enable sunnata to flow into my body – this is a visualisation. I tend to think of mind as being amorphous, and that it moves around my body causing function sometimes consciously I move it sometimes unconsciously it is moved. As I have been unable to establish this I have just stated it as a contention. I have not got over my frustration concerning brain science, in fact it is now worse because I was unable to establish my contention. My contentions are true for me, I wouldn’t waste time with sophistry for its own sake, but there is no simple way for me to make it true for you. My frustration leads to an interesting question. If a certain part of the brain is known to react during insight, can I move my mind to stimulate that area of the brain into an insight? This is a horrible question these brain scientists want. Aaaggh!! Not at all the direction I wanted. I ain’t doing it though. If I want an insight I am going to meditate. This is also in the way of Honiti, I want to finish that now I have pathtivism ( Ch24). Now I am just blasted. Scifimuse was telling me to do Honiti, and spirimuse wants me to write a new book. Worn out so daunting – relentless. This post is a series of notes concerning what I will look into for Mandtao. What is the Mandtao empirical method? My view – there are observations/events/experiences that can be repeated. Because they can be repeated then these are events that we can know. In other words these are events that we can give a scientific explanation for because they repeat. So empirical method is to make observations and then determine a scientific explanation. This is different than an experiment in a laboratory. Why? What is lost in a lab? Can a real life be recreated in a lab? I have reposted the Zandtao Hagelin blog here in Mandtao. I learned sub-atomic was protons neutrons electrons. Now the smaller we go the more particles we find. Or do we? Do we find particles or do we find properties that we assign to particles? Fritjov Kapra Gary Zukav etc. Do we find particles because of Newtonian paradigm? If Bruce Lee was experimenting would we find chi? If Annie Besant was investigating would we find consciousness? Bacon split reason and revelation. Is science no more than what we can measure and logic? If we cannot measure it doe it not exist? Human capacities beyond reason – intuition, insight, creativity, are they now not science/knowledge because they cannot be measured? Meditation/path? I am just going to post a blog that has lain dormant about mind and brain. In the case of scientific enquiry how important is our considerations of what is mind and brain. When you consider the treatiseplusmeme if there is no vinnana to help transcend then there cannot be a path. If there is only brain and nothing else, how much is this restricting our knowledge? This is basically the acupuncture discussion only much worse. How much do our medical models restrict our abilities to heal? the relationship between funding and medicine is back-to-front. The hidden axioms has already picked on some axioms. Monism fundamental unity has not been investigated. I was put onto Hagelin and was impressed to see this clip. He was the leader of the Natural Law party (and presidential candidate) but I was told he was libertarian. I have always had sympathy for Libertarians, and this clip has just added to it. Why are these compassionate people right-wing BLOGLINK? But the answer with Libertarians is always the same for me, it is not the theory but the need for staged pragmatism especially in the time of such global bullies as the corporations that is so important. I don’t want regulations but the regulations that go first protect the people – the 1% will never allow their regulations to be quashed. What is the point of removing protectionism when the real control is with cartels. I love the idea of barter, am happy with farmers’ markets with healthy food and first-hand trading, but movements towards free trade globally only benefit the 1%. Follow the money. 1%-money never supports socialism but it does support libertarianism because it knows interim libertarian measures benefit the 1%. Having said that I would love for socialism to discuss consciousness. To perceive religion as the opiate of the masses is true up to a functional point but it misses the most important thing, the insight and understanding that comes with deep religious understanding are revolutionary. What is worse (because it is not likely to happen sufficiently) this insight is needed for the survival of Gaia and humanity. How I would love for the left to embrace spirituality, and accept some sort of consciousness explanation of life. But the problem is that the left is dominated by left-wing intellectuals who have not experienced spiritual consciousness, insight or whatever is chosen to discuss this religious experience. But there are a few. But there is something very important that Hagelin does, he brings discussion of consciousness and meditation into mainstream academia. Wherever this blog goes that is so important and mustn’t be forgotten. Where quantum physics goes loses me, and that is the first half of his talk. But I do not ignore it, my science is just not up to it. When I was young I came across two books, The Dancing Wu Li Masters by Gary Zukav and The Tao of Physics by Fritjov Kapra. Basically these said to me that once you go subatomic it becomes impossible to be exact. You can measure as momentum or as particle but you cannot say that subatomically there are particles or there is momentum. In the Turning Point Kapra spoke of the Newtonian paradigm. Newton’s 3 laws talk about particles, and this works fine with “touchable” objects. But subatomically it is not certain there are particles. But because science’s axiomatic approach is a Newtonian paradigm, then it is assumed to be Newtonian subatomically. At the same time that I was reading about this (mid-70s) I was becoming aware of the reality of chi (prana). It made perfect sense to me that subatomically there was energy, that we can measure the effects of this energy, but that this energy did not fit in with the Newtonian paradigm. Because I have experienced the chi this clearly meant to me that the Newtonian paradigm did not extend subatomically, so the investigation of quarks etc. subatomically with all the probabilities associated with it did not matter to me. As a way of measuring chi there might be mileage in this but I am not sure. In this same clip, Hagelin takes this subatomic “investigation” into unified field theory. It sounds to me that such strings are indistinguishable from energy; why not call it chi and investigate chi? One significant answer is BigPharma; there is no profit in a few needles and a trained acupuncturist, and BigPharma has significant academic control because of their amount of research funding. When I first raised the issue of unity, I was meaning political unity that could be found by adopting approaches similar to the Unity Platform. But this political unity is very limited compared to the Unity that is put forward by many spiritual people – including Hagelin. The terminology I use for this Unity is “Gaia” or ONE Planet. It amounts to there being ONE life that is the planet, Gaia. This life force functions as a Unity but from inside we perceive separate individuals and forms of life. Science takes this separation as axiomatic, and misunderstands so much because of that – not least the misunderstanding concerning the sub-atomic realm. For me the sea is the best way to understand the Unity that is Gaia. What happens when you stand in the sea and a wave knocks you over? Are you knocked over by a particle, several particles, the momentum of the wave, the sea’s energy or even the sea’s consciousness (whatever that is)? It depends on how you setup your definitions (or axioms) as to what knocks you over. In the second part of the talk, Hagelin links the unified field theory to consciousness. Whilst his conclusion is excellent his methodology left me numb; it was so academic. It reminded me of theosophy taken to extremes with diagrams, more layer cakes, parallel isomorphisms, and I have given all of these up. Buddhism talks of 5 skhandas one of which is sankhara – mental proliferations, and I see much of what Hagelin talks about as mental proliferations for academia. There are postulations of 10 dimensions or whatever, and the mathematical consistency supports his arguments, but show me the dimensions. But there is matter chi skhandas and pure being – simple. The real issue of understanding is whether we meditate – enough. Is Unified Field theory consciousness? As far as I know, yes. The complicated intricacies are necessary for academia, and that is the medium Hagelin works in so I fully support him going for it. For me I see chi and consciousness, and meditation as the way of understanding. Hagelin, enjoy your mental proliferations; what you are doing is great. But how can the pure being as compassion be found on the political right? In terms of Unity of Being and political unity in the Unity Platform LINK there is togetherness – great.